We are Glad You are Here! We hope you find our church a welcoming place where you can get to know us and experience the joy of Jesus Christ together with us. Sundays, 8:30 a.m. & 11:00 a.m.
We are a church that loves people. We want you to feel like family. We want you to find that Bunker Hill is a place where you feel like you belong. At Bunker Hill United Methodist Church, you will be welcomed into a casual environment by people who are just like you. Our church family is multi-generational and full of people who are in all different places along our faith journey. We gather together regularly to grow spiritually, support one another, and love the world in the way of Jesus. In addition to our Sunday worship services and Sunday bible studies, there are many events and fellowship opportunities for you to check out. Church is much more than a service on a weekend. It’s a place to belong. We would love to welcome you and your family into our church family. All you have to do from here, is come as you are this Sunday to Bunker Hill! On Sunday, our friendly group of greeters will welcome you as if you have always been part of our family. They will be happy to show you around and answer any questions you may have. We also recognize that not everyone is up for the 'meet and greet' during their first visit. No pressure, we just want you to feel comfortable and know our team is ready to serve you. No one is going to single you out or ask you to stand up and give your name. Grab a free coffee and a donut or two, and relax. We Can't Wait to Meet You! We Are Saving A Seat For You! Wondering what to wear? Wear whatever is comfortable for you. In worshiping with us, you are just as likely to find some of us in shorts and flip flops or jeans and boots as you are to find others of us in suits, dresses, and dress shoes. What you can be certain of is that you are welcome to join us in the attire which feels comfortable for you. There is ample parking to the left side of the church and at the rear of the church complex. 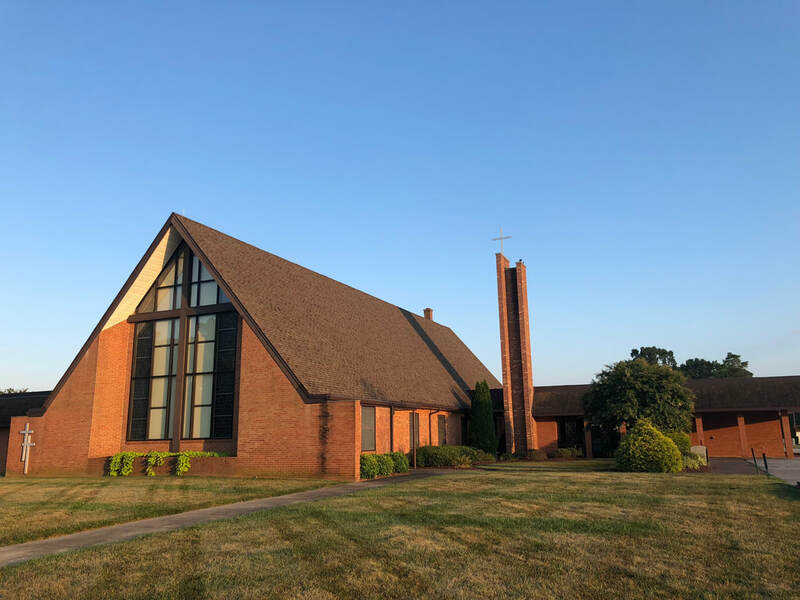 The sanctuary is most easily accessible from the fellowship hall entrance or the narthex on the right side of the church (to your left if you have parked in the rear of the church). The sanctuary is located just inside the glass doors which are easily seen from the parking lot. The church building is handicap accessible. From newborns through high school seniors there's something here for your kids. We believe that kids should have a blast at church every single week – and at Bunker Hill, we make this a priority. At Bunker Hill, your kids will not only discover how deeply God loves them, but they will develop the gifts and talents He places within each of them. It is our mission to partner with you as parents! We provide the resources for your children to grow in their relationship with God! Read More. Each worship service is 60-65 minutes with about 15 minutes of music, 10 minutes of inspiring stories and announcements, and 30-35 minutes of Bible teaching. Experience authentic music and powerful messages, plus your kids will love all the energetic environments for birth to 5th graders! Children's Church is available for kids pre-K to 3rd grade following the Children's Message. Our goal is that each and every person present at one of our worship services will leave with a sense of awe and wonder at what Jesus has done for each of us. Members of Bunker Hill have many ways to sustain the church with their financial offerings. If you are visiting with us, please do not feel obligated to give. If you would like to give to Bunker Hill, offering envelops are available from the ushers and can be found in the pews. You can also give online, by clicking here. At Bunker Hill, Sunday School classes are the number one small groups in the church. They provide a place to learn and grow in your faith, to build relationships, fellowship, and connect. We encourage everyone to become apart of a Sunday school class. Classes meet from 9:45-10:40 am each Sunday morning. To find the right class for you, read more about the available classes by clicking here. Bunker Hill United Methodist Church is led by our pastor who is an Elder in The United Methodist Church. 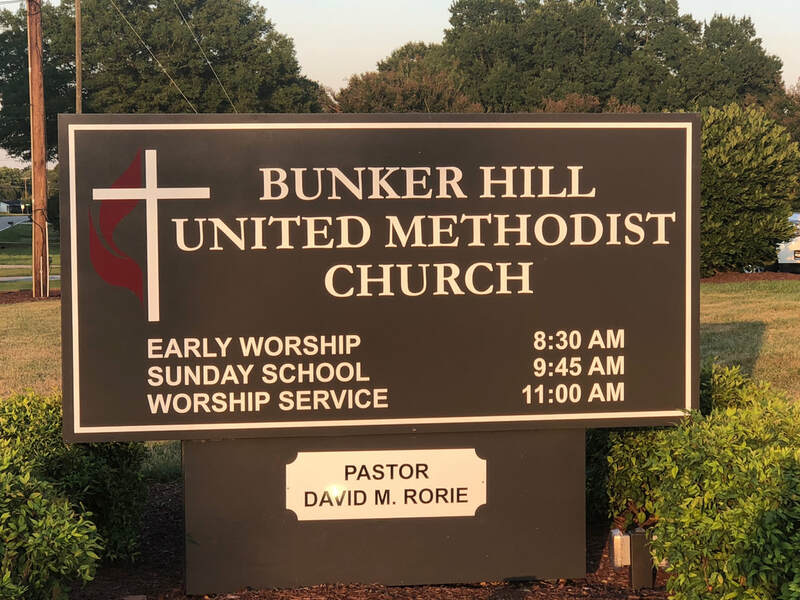 The Church Council of Bunker Hill UMC envisions, plans, and implements the mission and ministry of the church, including providing for programs of nurture, outreach, witness, and leadership development/resourcing. The Church Council also provides for Bunker Hill's general administration of the church. Read More. At Bunker Hill United Methodist Church new members are regularly received. If you are interested in becoming a member, contact our pastor by calling the church office at (336) 993-8132. The church office is open from 8:30 a.m. - 4:30 p.m., Monday through Friday. Please call the church office at (336) 993-8132 if you have a hospital stay, birth, a death in your family, or have other pastoral needs. If you are unfamiliar with the Christian faith, or if you want to learn more about Jesus Christ, we are eager to share him with you. We believe Jesus is our Savior and Redeemer, and we look to him for grace each day. Learn more about Jesus. 5:45 pm / 6:30 p.m.